You are currently on: How can we reduce the abundance of invasive wasps? Professor Jacqueline Beggs (right) and Julia Schmack, Doctoral Candidate, Biological Sciences, Faculty of Science. Introduced Vespula wasps are a major pest in New Zealand, Hawaii, South America and Australia. These wasps disrupt native ecosystems, but also cost the New Zealand economy at least $130 million per year. The primary sector, particularly farming, bee keeping, horticulture and forestry bears the brunt of the economic impact, but the health sector also shares the burden as a result of stings. 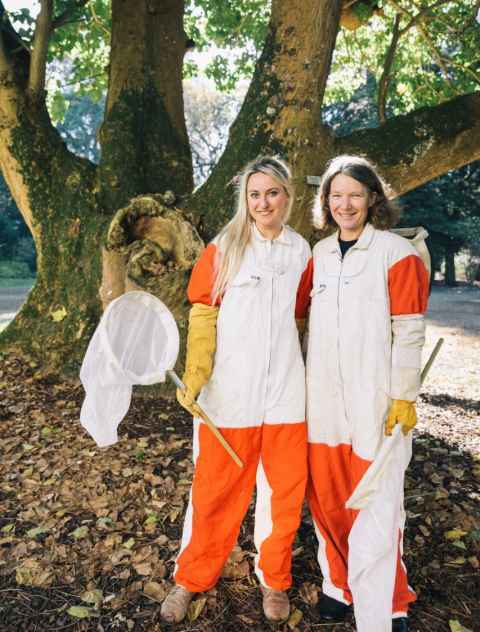 Our research contributes to finding novel ways to reduce wasp abundance as part of the Biological Heritage National Science Challenge; we are collaborating with researchers from Crown Research Institutes and other NZ universities. If we can develop new control tools and management strategies for wasps, then our native birds and insects will have a better chance at thriving, and our primary industries become more sustainable. And no more abandoned picnics, or closed walking tracks because of the danger posed by wasps.